RockBand University (RBU) stemmed from an idea by Mike Clements to take private instruction to the next level, and get musicians out of their rooms and into bands. Mike assembled Sandy Thai and Evan Daly to turn this idea into reality, and together, they created a program and rehearsal space for students to hone their skills and grow. RockBand University opened its doors in 2009, offering RockBand University Sessions, a program in which musicians are matched together and are given private band instruction in the course of six weeks. 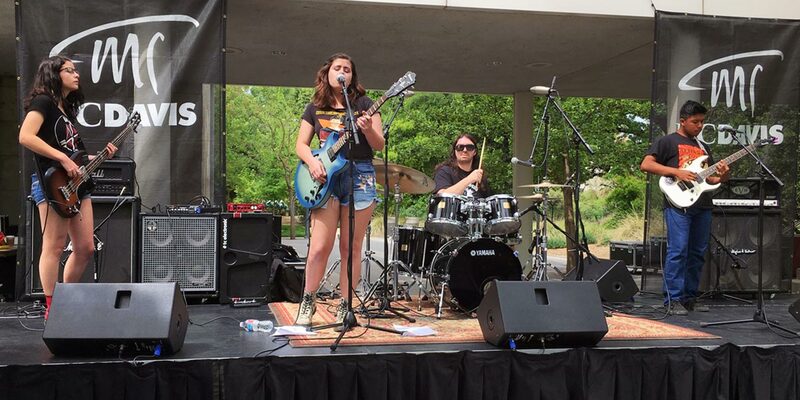 Sessions culminate in a concert performance, giving bands opportunities to play all over Davis, Sacramento, and Yolo County. Since opening, RBU has welcomed hundreds of musicians into their rehearsal studio to learn, grow, be creative, and perform. 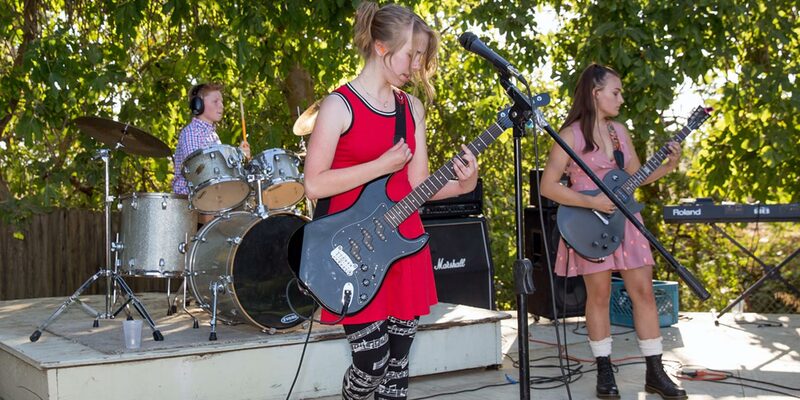 RockBand University is here for musicians of all ages to rock on!